Hello again and welcome back for day two of 12 Days of Gifts! Today's gift idea was actually a make and take at the Cape Cod Creative Escape last month. 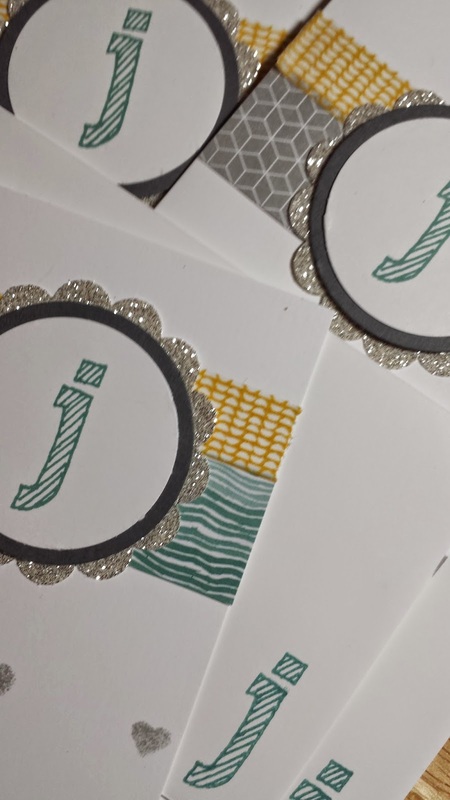 Each of the attendees got to make four monogram cards to use for themselves or as a gift! They were super simple to make. 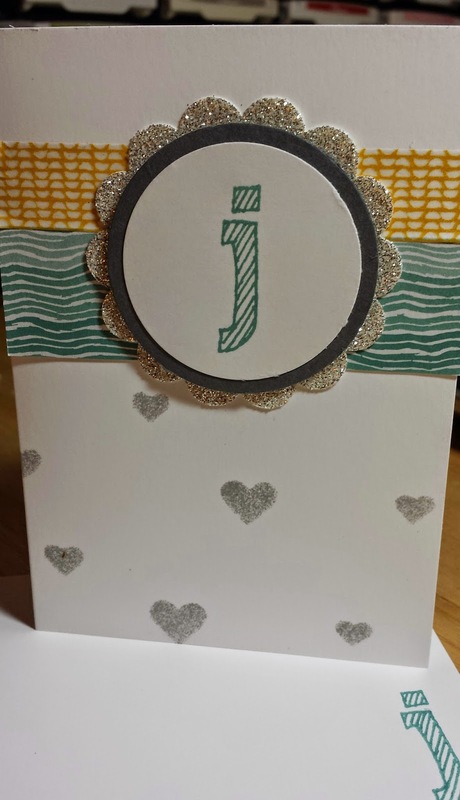 I used the Whisper White note cards and envelopes, a scrap piece of the Moonlight Designer Series Paper Stack, basic gray cardstock and whisper white cardstock, a small piece of washi tape and the gorgeous glitter paper for a little bling. You can see in the picture on the right I also used my Smoky Slate ink pad and a sponge with the heart mask to stencil a little "love" on the cards, too. You could omit those if you were giving these to a guy. I would probably pick a more masculine paper as well -- although the gray color would be great -- maybe just switch out the washi tape to something a little more "manly" like the Epic Day washi tape. Anyway, if you're like me and get "confused" on how to use monogrammed note cards (do you send monogram cards with your initials on it or with the initial of the person you are sending it to? I think because I always write on a post-it note or slip of paper so people can recycle my cards that sending something with my initial on it just totally messes me up! ), then maybe you should create a more generic set of note cards as a gift instead. On to the "purchased" gift... Do you have a friend that likes to make quick and easy cards on her own, but she doesn't really have a lot of time to design cards from scratch? Today's Stampin' Up gift idea is for her! 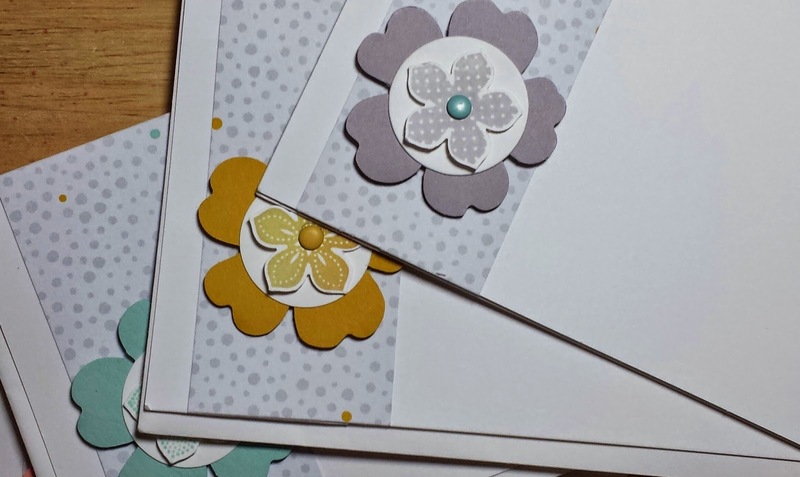 The Hip, Hip Hooray card kit or the Everyday Occasions card kit are perfect for people that like to get crafty and send homemade cards, but only have a minute or two here or there to create (hello kids' nap time! These cards are that easy!). See you tomorrow for day three!